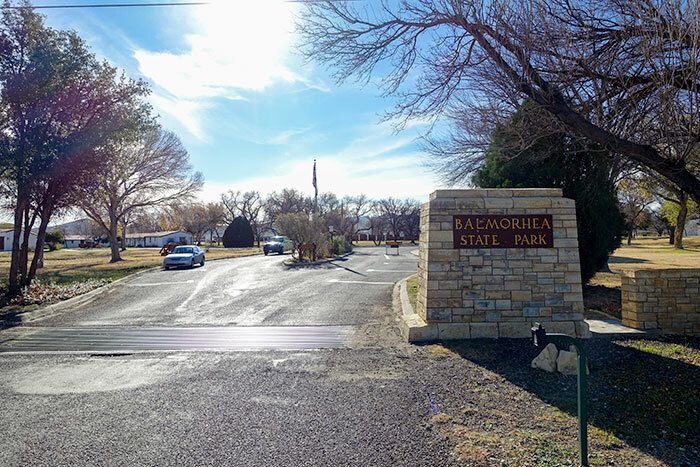 If you’re heading up to the Davis Mountains in West Texas, Balmorhea State Park is a must stop, especially if you want to cool off from the hot desert sun. 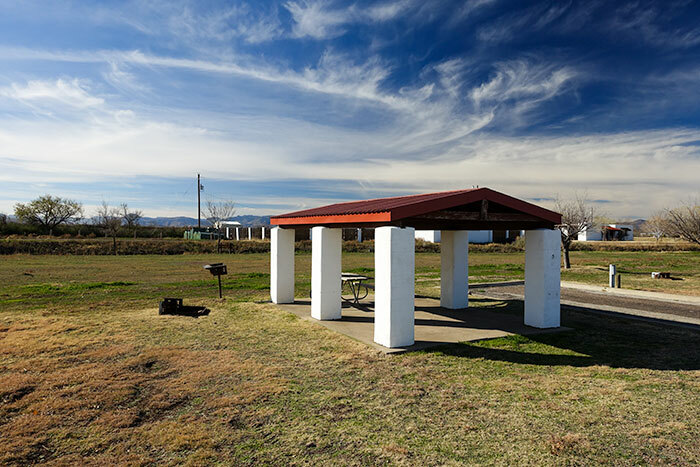 The park is located on 49.5 acres in Toyahvale, Texas, just a few miles down the road from Balmorhea, Texas (wonder why they didn’t call it Toyahvale State Park…) on the Northeast side of the Davis Mountains. Unfortunately, with its small size, there aren’t any hiking trails in it. If you’re camping in Davis Mountains State Park, it’s only a 35 mile drive from one park to the other, and a beautiful drive at that. 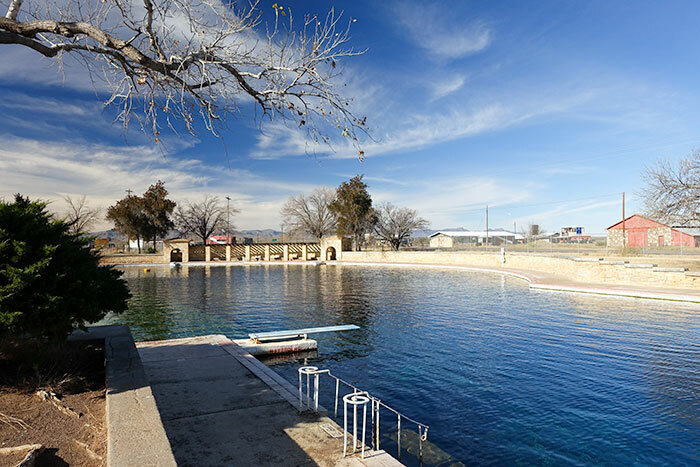 The main attraction at Balmorhea State Park is San Solomon Spring, which feeds the huge swimming pool in the park. More than fifteen million gallons of water flow through the pool every day, so you don’t need to worry about chemicals in the water to keep it clean. It cleans itself. 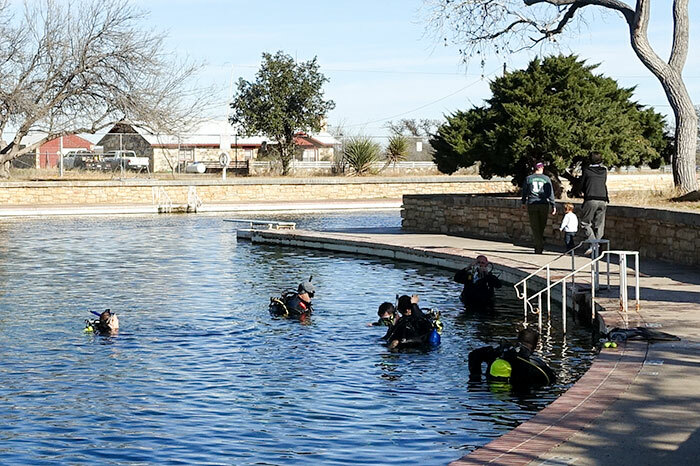 The pool is also up to twenty five feet deep on one end, which attracts scuba divers to practice their diving skills. Water that stays between 72 and 76 degrees year-around also helps. 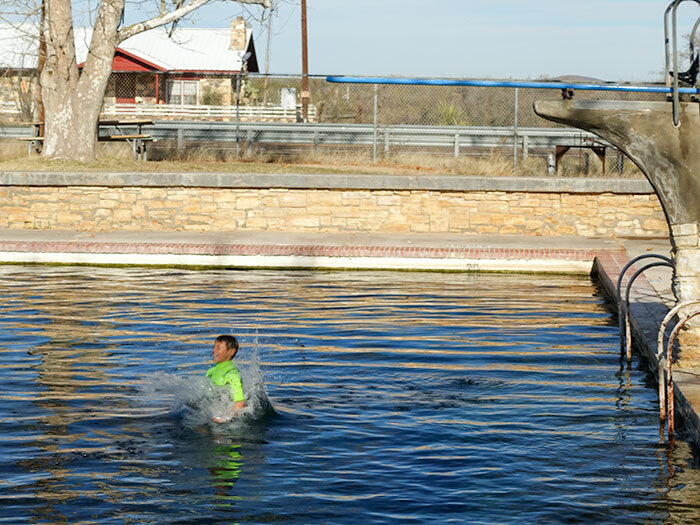 When we were visiting the park, a couple of kids were hanging out at the deep end of the pool and jumping off of the diving board. 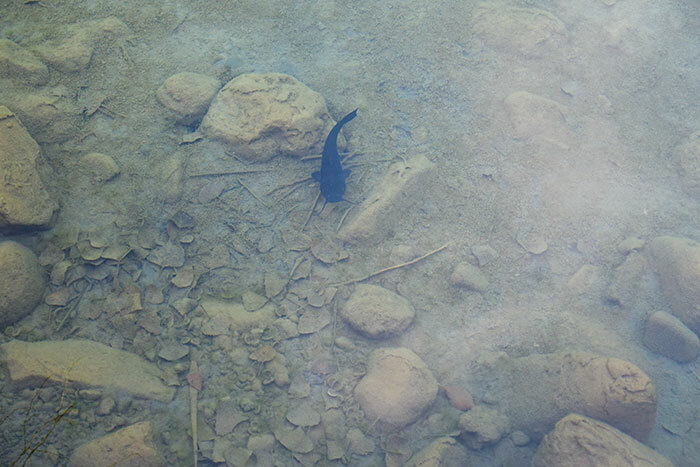 The channels in the park are loaded with headwater catfish, so keep an eye out. 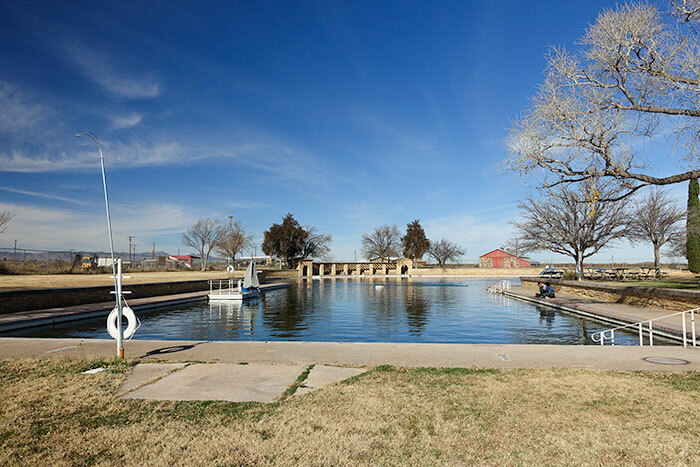 These channels run throughout the park and are designed to direct the water from San Solomon Spring to Balmorhea Lake approximately three and a half miles away. During the day, the catfish like to hang out in the shade underneath some of the bridges that cross the channels. 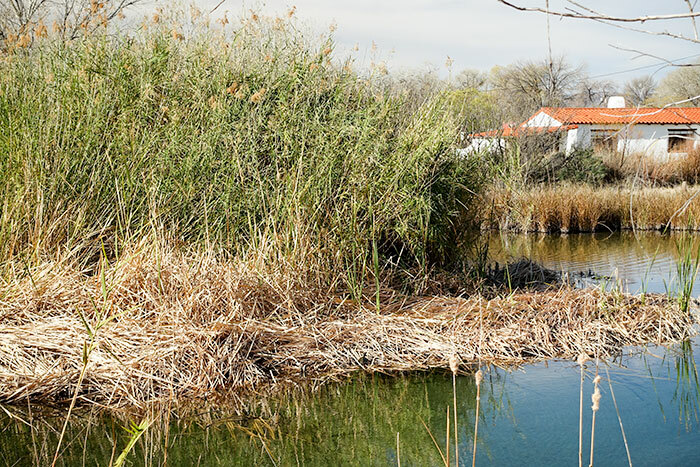 The desert wetlands (cienegas) near the campgrounds were restored by the park in 1995 and attract wildlife for miles around. 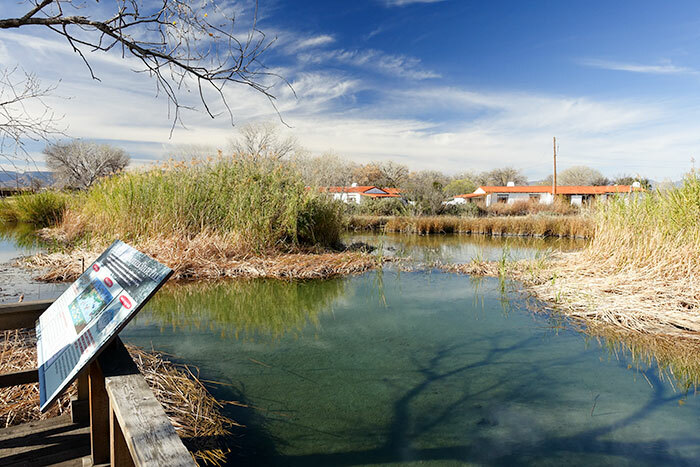 They’re also the home of two endangered species of fish, the Comanche Springs pupfish (Cyprinodon elegans) and the Pecos mesquitofish (Gambusia nobilis). 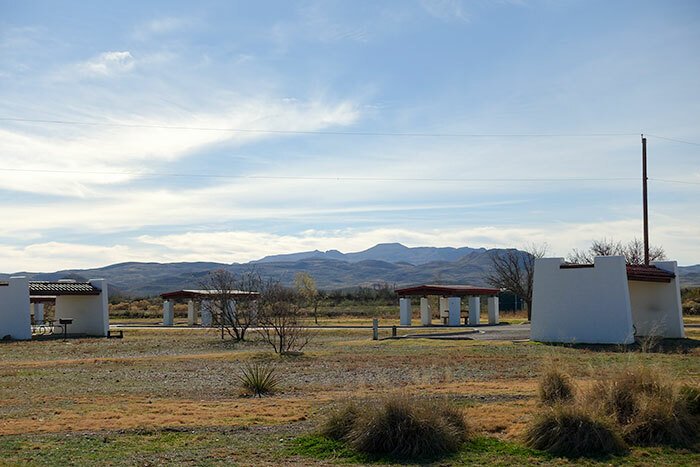 The park has 34 campsites that are spaced out relatively well. Don’t expect a lot of privacy though, it’s the desert, so there aren’t any trees to block your view to the other campers. 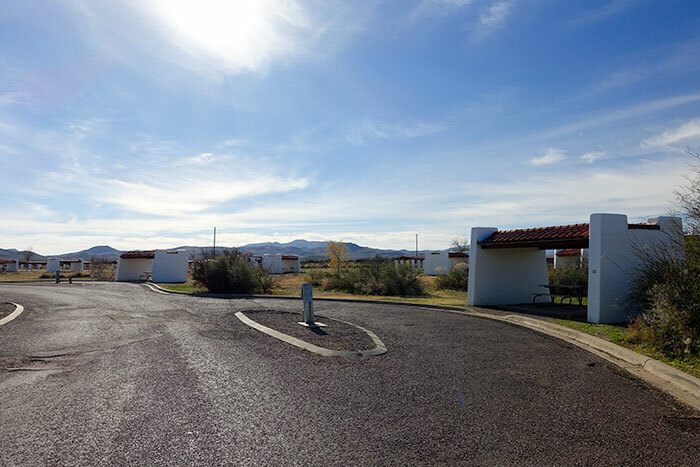 The RV campsites are just big enough to fit larger fifth-wheels and motorhomes, but just barely. Some sites offer water and electric, and some, water electric and cable TV, but none have sewer at the sites. You’ll have to use the dump station in the park before you head out. 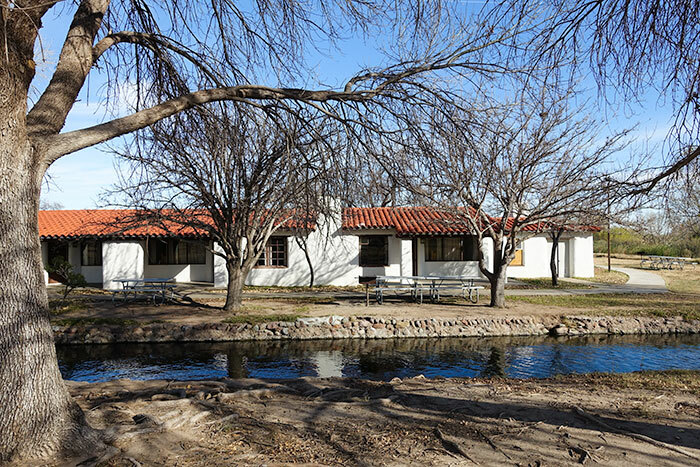 The park also has motel-style lodging that was built in 1940 by the Civilian Conservation Corp, called the San Solomon Spring Courts. You can hang out in front of your room, in the shade of the trees, and watch the water flow by. 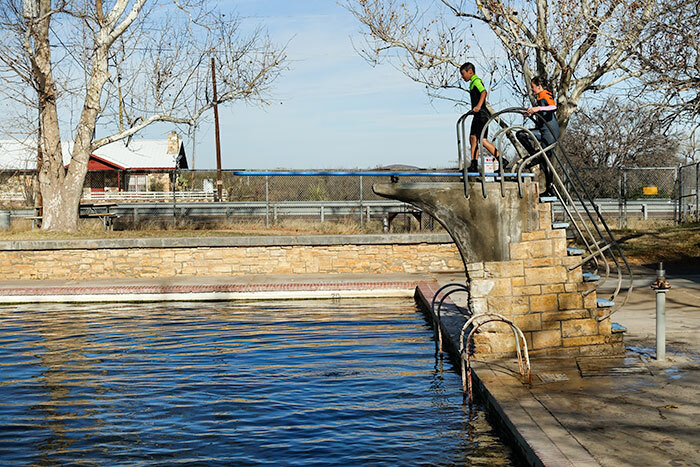 No matter what time of year it is, if you’re in the Davis Mountains and want to go take a swim, Balmorhea State Park is the destination of choice. Bring your snorkel. Hello, I am unable to find the rental fees for your cabins?